Ensure a great night’s sleep with this charming pyjama set from Ringella which is made from soft cotton blend jersey fabric which will be soft against the skin. 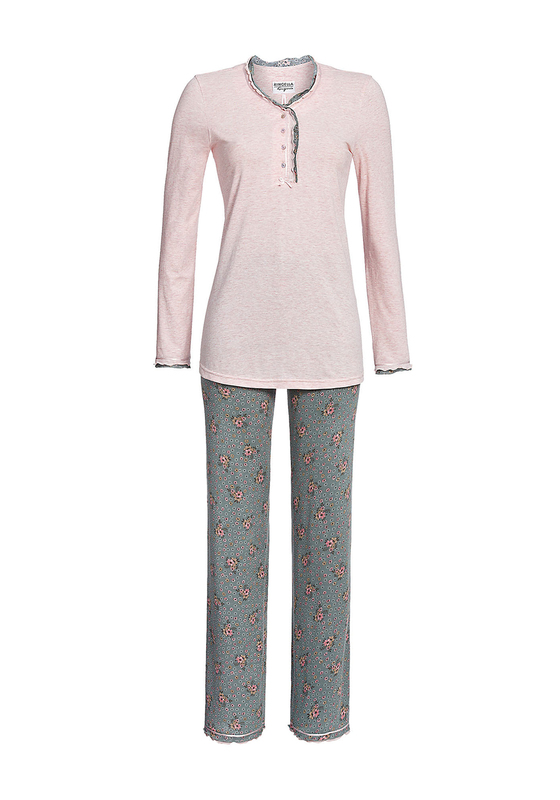 The pink long sleeve pyjama top features a contrasting ruffle trim at the cuffs, half button placket and neckline. The green pyjama bottoms has a cute floral print throughout.